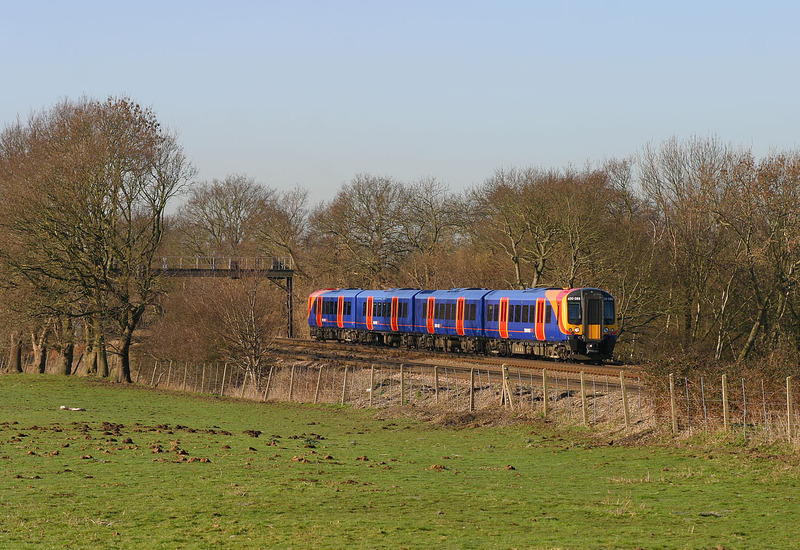 The moles have been busy in this field next to the Basingstoke to Woking line at Potbridge, as 450088 passes with the 10:54 Basingstoke to Waterloo South West Trains service on 3 February 2007. While taking more conventional pictures from the bridge, I noticed that a four coach train on the slow line would just fit in this gap viewed from a little way down the road. A lesson could be learnt by a number of other privatised railway companies from the external appearance of the South West Trains fleet, virtually without exception all the units seen on this day were in pristine clean condition.